Grow Your Business AND Get a Tax Break! The Kentucky Small Business Tax Credit (KSBTC) program is designed to encourage small business growth and job creation. Most for-profit businesses with 50 or fewer full-time employees are eligible. And now the program has been expanded and simplified! 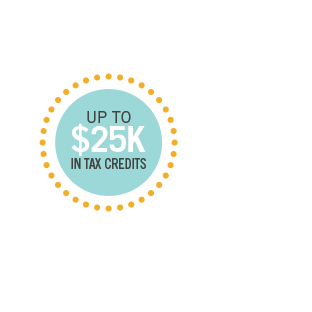 Tax credits range between $3,500 and $25,000 and require that a company has created and sustained (for 12 months) at least one new full-time job (at $10.88/hr or more) and has purchased at least $5,000 of qualifying equipment or technology. After meeting all eligibility requirements, fill out the KSBTC Application below and provide all required supporting documentation listed in the application form. Links to additional program information can be found below. For more information about the Kentucky Small Business Tax Credit program, please contact the Office of Entrepreneurship at cedsbsd@ky.gov or call 800-626-2250. The Cabinet’s services, assistance, and activities are available to all without regard to race, color, gender or national origin.